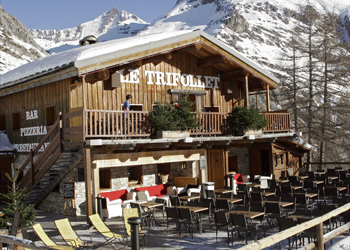 This is an unmissable stop for a gourmet break, located on the famous OK piste which has set the reputation of the resort. Choose to dine on the magnificent terrace on sunny days, or in one of the charming dining rooms decorated in a local style, and boasting a real fire. Either way, you’ll be treating yourself to lovely traditional cuisine, made using only fresh quality ingredients. Meals are accompanied by a beautiful wine list which includes wines from all regions at reasonable prices. made of old posters and art lovers delight "History ..."
Live Music - Atmosphere "Jazzy" (information). 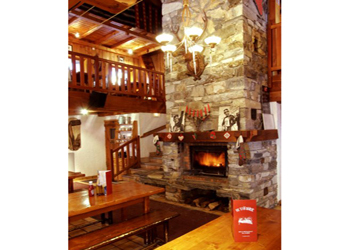 Sit around the fireplace and enjoy the delicious and famous daily specials served in a casserole (stew, Bresse chicken, veal stew ....) that will delight lovers of cooking our "Grandmothers." . 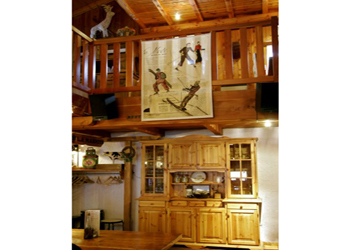 A warm welcome, attentive service, generous cuisine made with fresh products will make you spend a pleasant time. 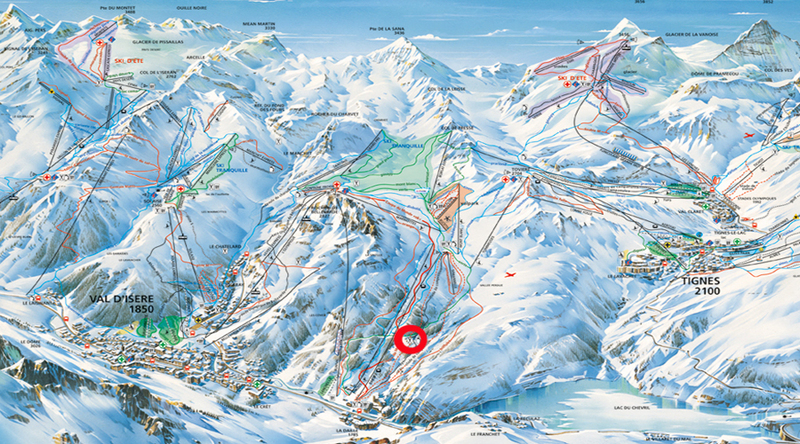 (women’s world cup) and green pistes. 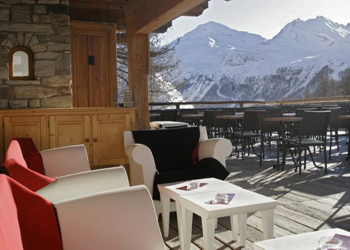 - Terrace with views over pistes. - Cooking to order using fresh ingredients.